Apple is launching a new streaming music service tomorrow that will compete with some of your favorite online subscription services. Are you game? Here’s what you need to know before you jump in. Look forward to a new Music app for iPhone and iPad, a new version of iTunes for Mac and Windows plus three new services: Apple Music streaming, Beats 1 radio and the Connect social network. 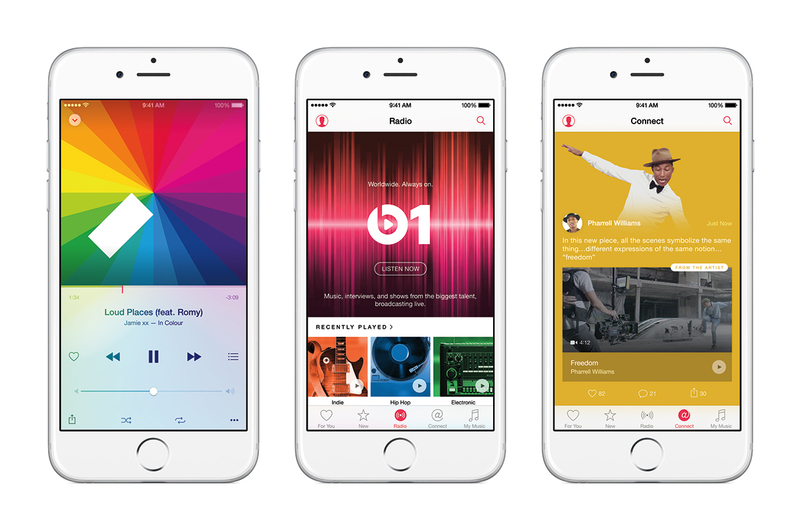 Apple Music will launch as part of iOS 8.4 at 8 am Pacific time; Beats 1 radio launches one hour later. The decision to try out the new service is a no-brainer. It’s free for three months, and if you don’t like it, you can bail. Here’s the lowdown. The sun hasn’t exactly set on the era of U.S. dominance of tech, but it’s dipping a bit closer to the horizon these days. In a new report that brings the latest sign of the looming changing of the economic guard, Strategy Analytics said today that it expects India to become the world’s second-largest smartphone market by 2017. China will remain number one, and the U.S. will fall to third. Xiaomi, which is valued at $45 billion and is the world’s third largest exporter of phones, this week expanded into Brazil and is thought to have a slate of other international expansions lined up for this year. That’s important because CEO and co-founder Lei Jun previously estimated that the company would sell 100 million smartphones this year. While 34.7 million in the first half of 2015 is impressive — Xiaomi said it represents a 33 percent increase on the first half of 2014 — the company is going to need to kick up its sales if it is to hit Lei Jun’s lofty target for 2015. Almost one in seven British adults are making use of ad blocking software, with 22 per cent admitting to having downloaded ad blockers at some point, new research by the Internet Advertising Bureau (IAB) has found. Men are more than twice as likely as women to block ads, at 22 per cent and 9 per cent respectively, and its most common among those aged 18-24 (34 per cent) and 25-34 (19 per cent), and those in the North and Scotland (both with 19 per cent). Africa has a population of more than a billion people, and of those, 120 million are on Facebook. Of course, stats like that won’t have escaped the attention of Mark Zuckerberg, with the words “growth potential” likely ringing loudly in his ears every time he sees them. 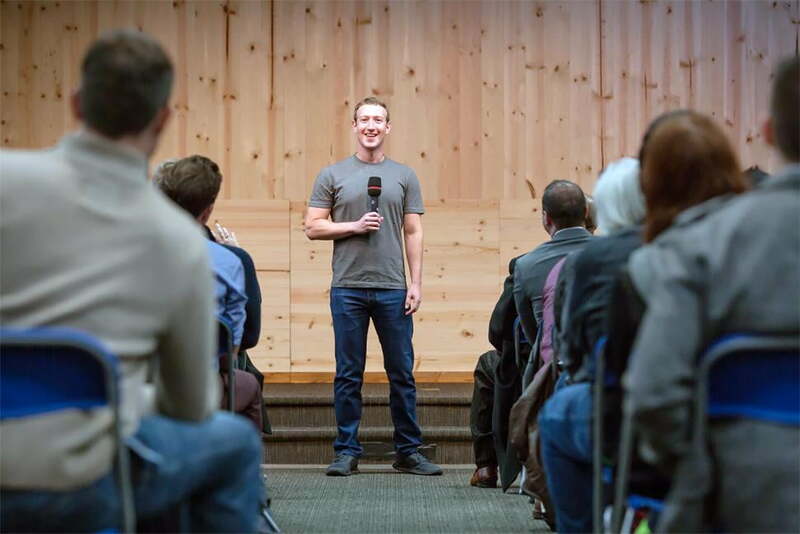 With that in mind, it’s no surprise that he has been looking at ways to bolster Facebook’s user base in the region. The strategy includes the impending July opening of the social networking giant’s first office on the continent, in Johannesburg, South Africa. The operation will be led by Nunu Ntshingila, who also runs ad agency Ogilvy & Mather in the country. 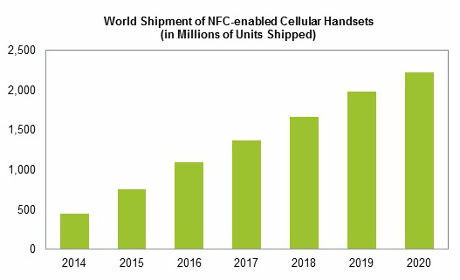 Shipments of NFC-enabled handsets will increase to 756m in 2015, up from 444m last year, rising to 2.2bn by 2020, IHS Technology has forecast. The research firm adds NFC is “finally coming of age and gaining some traction”. “Android operating system will be the largest segment for NFC-enabled smartphones in the forecast period,” says Don Tait from IHS Technology. “Samsung’s Galaxy range of smartphones will continue to remain popular and drive growth of this segment during the forecast period. After more than a decade of promises,the European Union has finally reached an agreement to end roaming charges across its 28 member States as of June 2017. It has also backed strong net neutrality rules. The ban on roaming charges was meant to come into effect in 2016 but member countries delayed this. On 15 June 2017 people travelling in the EU will be paying the same prices as they do at home. The European Commission has been working on ending roaming charges for more than a decade. Prices for roaming calls, SMS and data have fallen 80pc since 2007. Data roaming is now up to 91pc cheaper compared to 2007. Africa is widely acknowledged to be at the cutting edge of mobile money services, and now international remittance companies are moving to take another step in the evolution of the technology by allowing people living abroad to pay bills for friends and relatives back home on the continent. The idea is for international remittance users living abroad to be able to pay for bills such as electricity, rent and hospital services incurred by people in Africa. Up to now, international remittance services only allowed funds to be transferred from person to person: they did not let users pay bills. Indonesia is a famously chat-happy nation. According to Inmobi’s report “State of mobile messaging in Indonesia,” 97 percent of mobile users in Indonesia access messaging apps multiple times in a day, and have an average of 3.6 different messaging apps installed on their phone. The market is crowded, with most big messaging apps, both Asian and Western, enjoying popularity in the archipelago. Is there any chance for a newcomer to get a foot in the door?